Submitted by Simon Coleman on Thu, 21 Jan 2016 - 17:41. 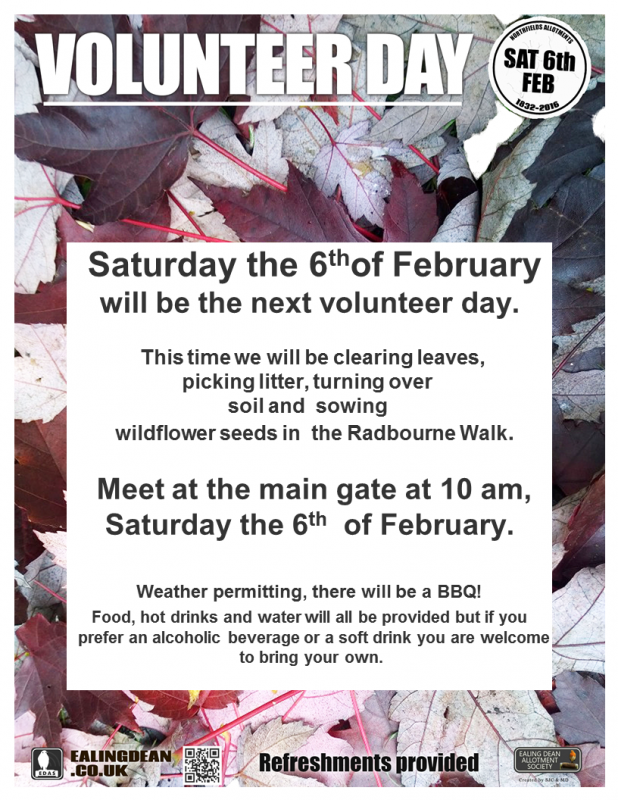 We will be holding the first volunteer workday of 2016 on the 6th February. We will be continuing with the winter clean up of the Radbourne walk, the path that runs along side the allotment. We will start the day at 10am on Saturday morning, meet by the middle main gate on Northfield Avenue. We will also have a BBQ after the workday. Please wear clothes suitable of winter weather like boots and waterproof coat.